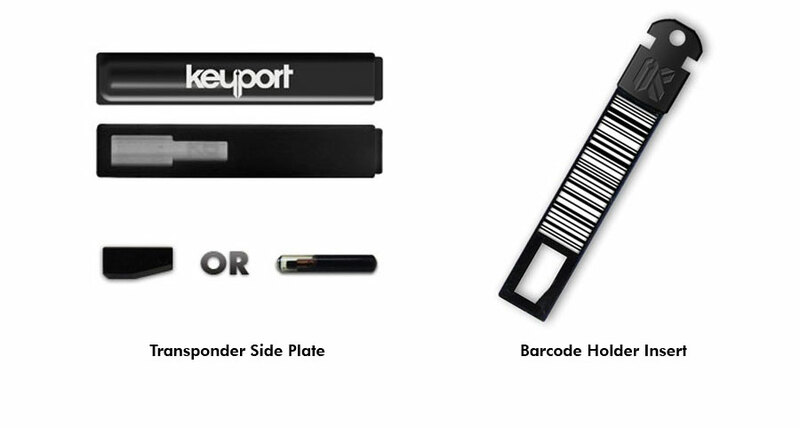 The Keyport Slide 2.0 is compatible with a wide variety of transponder-chipped keys. Add up to 2 bar codes to each insert. Just cut the bar codes from your existing rewards card key ring tags or wallet sized cards to fit the recessed areas on either side of the Insert. Also fits carbon transponders for automotive keys (TP05/TPH1 etc).